We raise red and black Angus mixed with Anjou at Highwood Valley Ranch. Our animals are treated with the utmost care and attention. They are free of any added hormones and antibiotics. Animals that do need to be treated are marked accordingly and removed from our feed program. 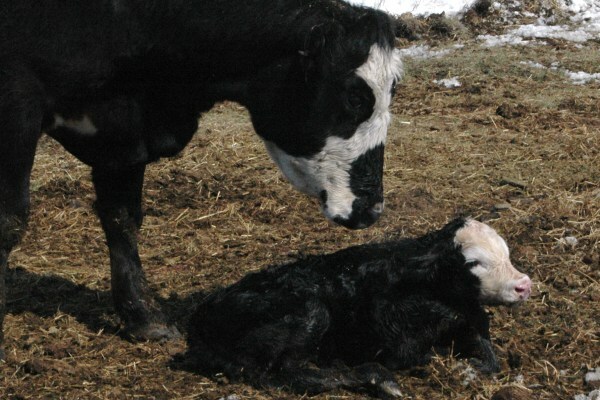 Calves are born mid to late April and we calve into June. We then load moms and babies on to the truck and head West of Longview where they will spend the summer grazing on the natural grasses of the foothills. Here they have access to natural streams and springs of water, lots of shade and lots of grass. Cattle are moved from field to field by horseback every couple weeks. 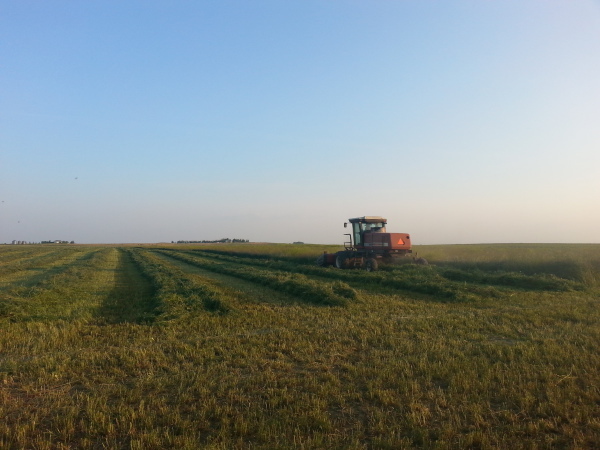 While pairs are back in the hills we are busy back at home haying and cutting green feed. Our hay is a mix of alfalfa and grass, the green feed is a mix of barley and grass. Cattle are fed a mix of hay, green feed and straw. Our fields are free of herbicieds and pesticides. During the winter months we feed on our fields putting natural nutrients back in to the ground.